After the gooseberries (for the Gooseberry Cream) were mashed and sieved, the quantity of gooseberries were measured. To a Quart of the Pulp, you must have six Eggs well beaten. 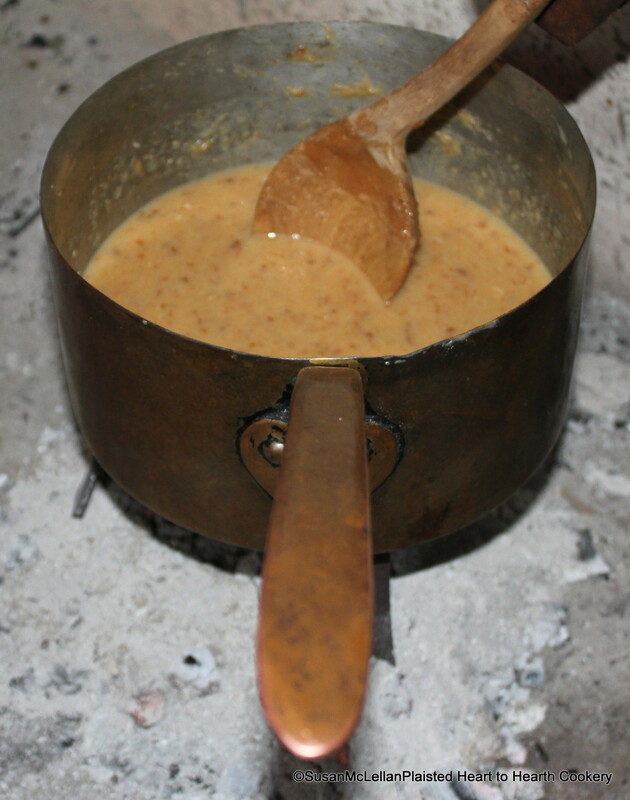 Heat the Pulp, when it is hot; put in an Ounce of fresh Butter, sweeten it to your Taste, and put in your Eggs, and stir them over a gentle Fire till they grow thick.